From the fourth Harry Potter book onwards, once the saga’s French translator, Jean-François Ménard, was most definitely not translating the work of a little-known British children’s author any more, his working routine was the same. The publisher’s paranoia about plot leaks meant that translators were refused advance access to the English original. Ménard’s copy arrived on the day of publication of the English-language version. Two months later he would be expected to present the publishers with the French text to be rushed into print for millions of impatient francophone readers. Every day of those two months would be spent translating J. K. Rowling’s prose, starting at 6 a.m. and finishing at midnight, barring a long lunch-break to refresh his brain and a weekly trip to the physiotherapist to ward off writer’s cramp. Translating Harry Potter presents unusual challenges. What to do with the latiny riddle-language of Rowling’s spells, which allows English-speaking readers to work out that wingardium leviosa implies ‘wings’ and ‘levitation’, or that the cruciatus curse will bring excruciating pain? What to do with the names of people and places, with their hidden jokes and clues? Let’s take a look at a few, so that we can appreciate what Ménard was up against. In the original, Hogwarts school is divided into the four houses, Gryffindor, Ravenclaw, Hufflepuff, and Slytherin. In Ménard’s translation, L’École de Poudlard (‘Poux-de-lard’, or ‘bacon lice’) is divided into Gryffondor (‘Gryffon d’or’, or ‘golden griffin’), Serdaigle (‘serre d’aigle’, or ‘eagle talon’), Poufsouffle (which suggests ‘à bout de souffle’, or ‘out of puff’) and Serpentard (which contains the word serpent, meaning snake). Some are quite different, presumably because literal translations of Hogwarts (‘verrues de porc’) and Ravenclaw (‘serre de corbeau’) are not as mellifluous, or as funny-sounding, in French as in English. A little of the subtlety is lost from Slytherin, who are now bluntly linked to snakes, and even the name which stays the same, Gryffindor/Gryffondor, is different, since the French allusion in the original becomes a straightforward label in the translation. The characters become an exotic mix of French and English names, with Dumbledore, Harry, Hermione and Ron remaining unchanged, but now finding themselves sharing classrooms with Neville Londubat (‘long-du-bas’, or ‘long-in-the-bottom’), Severus Rogue (‘haughty’), and Olivier Dubois, who has to be repatriated from his original identity as Oliver Wood to accommodate a gag about Professor McGonagall needing to ‘borrow Wood’, which Harry misunderstands as an implement for punishment. This oddly franco-British establishment becomes odder still with the introduction of an actual French school of witchcraft, Beauxbatons, in the fourth book, leaving us wondering why the French-named students enrolled in Scotland. And talking of French names, Rowling’s own liberal use of them gives the translator an extra headache. Fleur Delacour may sound sophisticated to English ears, but to a French reader it means the rather more ordinary-sounding Yard Flower. Similarly, Voldemort transforms from a figure of fear and mystery to a comic-book villain when his name simply means ‘Deathflight’ (or ‘Death-theft’) to the reader of the translation. And it would not escape the notice of the French audience that a surprising number of Rowling’s bad guys have French names, such as Malfoy or Lestrange. Rowling perhaps meant them to sound like ancient, aristocratic Anglo-norman families. French readers who missed the implication might have felt a little hurt. In a project fraught with difficulty, and scattered with no-win situations pitting sound against sense, or humour against consistency, Ménard pulls off a sterling job seven times in succession. 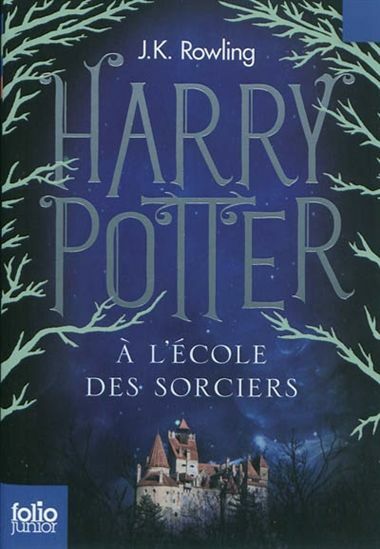 I wonder how many French readers realize just how much Harry Potter à l’école des sorciers and its sequels owe, not just to J. K. Rowling, but to J.-F. Ménard as well? Severus Rogue sounds pretty cool.. haha! Did you notice a whole paragraph is *missing* in the French translation of the first book? When Hagrid takes Harry to shore and Harry asks why someone would be mad to rob Gringotts? That question and the answer were left out in French!